Peel Street is fast becoming Adelaide’s ‘go-to’ spot, with an abundant selection of quirky, classy and relaxed bars and eateries boasting a European, communal flair. 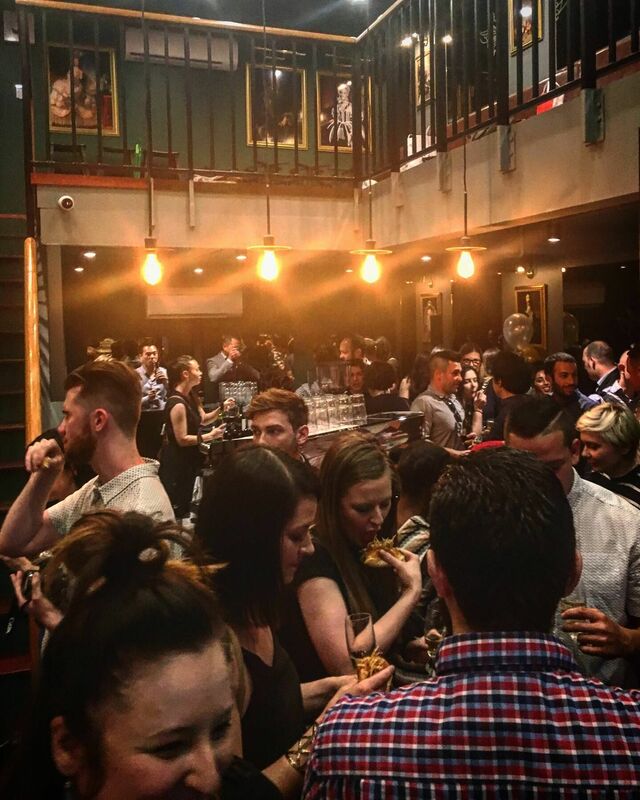 Over the weekend, Peel Street’s latest acquisition 2nd & 6th opened its doors to the public, where owner Hugh Nguyen and chef Rocco Tedesco showcased a number of delectable dishes from their French-Vietnamese fusion menu. 2nd & 6th is an intimate space that possesses an instant old-world charm. From first glance, it’s evident that Hugh has nailed his idea of French decadence, as vintage renaissance portraits hang along the high walls with spotlights focused on each piece of artwork. Marie Antoinette is a feature of the place, and most diners congregate to take selfies with the renowned historical French figure. 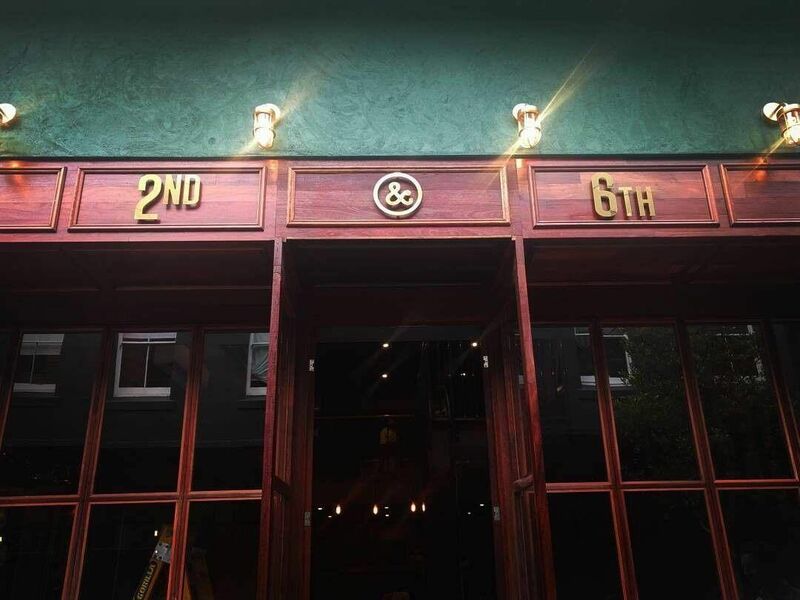 Rich hues make up 2nd & 6th, comprising a striking mahogany frontage and deep green exterior, gold fixtures, dark grey interior walls and recessed storefront windows that set off this opulent flair. By day, 2nd and 6th will serve a tasty (and bold) brunch menu, but by night, sweet tooth’s will unite as this venue will transition into a sumptuous dessert bar that feeds off the idea of ‘gluttony’. As Marie Antoinette once said, ‘let them eat cake!’. Hugh Nguyen’s passion for food stems from his childhood and Vietnamese culture, while Rocco Tedesco brings his years of experience as an Italian chef and love of French cuisine to create an eclectic and unique menu. Italian menu additions come in the form of cheesy, crunchy arancini balls, while Viet-French fusion pokes it’s head in with dishes like the lobster roll, encompassing tender lobster pieces tossed with asian dressings and nestled inside a sweet brioche roll. These mouth-watering gems were a hit at the media launch, and definitely challenge the usual brunch style eats like the customary smashed avo on rye. Daring, different and flamboyant describe Hugh and Rocco’s latest venture that offers more than the standard breakfast and brunch menu. Peel Street seems like a world away from the hectic and bustling nightlife of Hindley Street, and 2nd and & 6th are taking it a step further by offering something more than alcohol and loud music. When the sweet tooth calls for a lusciously decadent treat, Hugh and Rocco have created a special and classy place where friends can mingle over an indulgent feast accompanied by some seriously good coffee. Previous articleHave you seen Rundle Mall’s Christmas makeover?